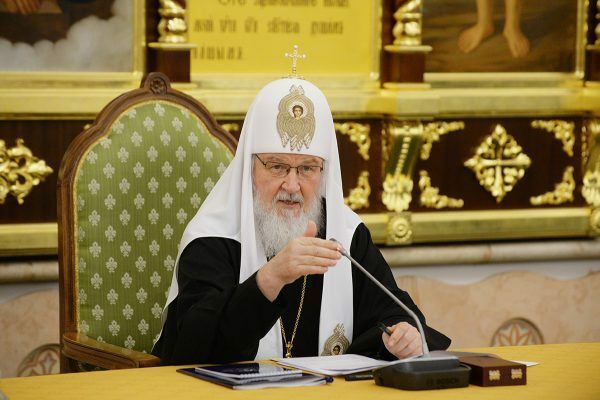 Moscow, March 20, Interfax - Patriarch Kirill of Moscow and All Russia praised the role of small-town Russia is preserving the country. “Were it not for our hinterlands, it is unclear what would have happened to our country in the past decades. So it is important to be nurtured with the wisdom of the people from the hinterland of our national life, who live there, in that depth, but at the same time signals should be sent there so that this movement is not one-way, so that we, too, while nurturing ourselves with their wisdom, could relay our thoughts” the patriarch said at a meeting of the Russian Literature and Language Society, of which he is the president. The society must develop its regional branches, he said. “Often major events, including those of intellectual life, take place in capitals while the hinterland lives under the laws of its own. In some sense, this life under its own laws often protects our province from the negative trends developing in megalopolises,” the patriarch said. It is thanks to “the natural conservatism of the Russian person who is very wary of all sorts of innovation,” he said “This made it possible to preserve our country,” the patriarch said.